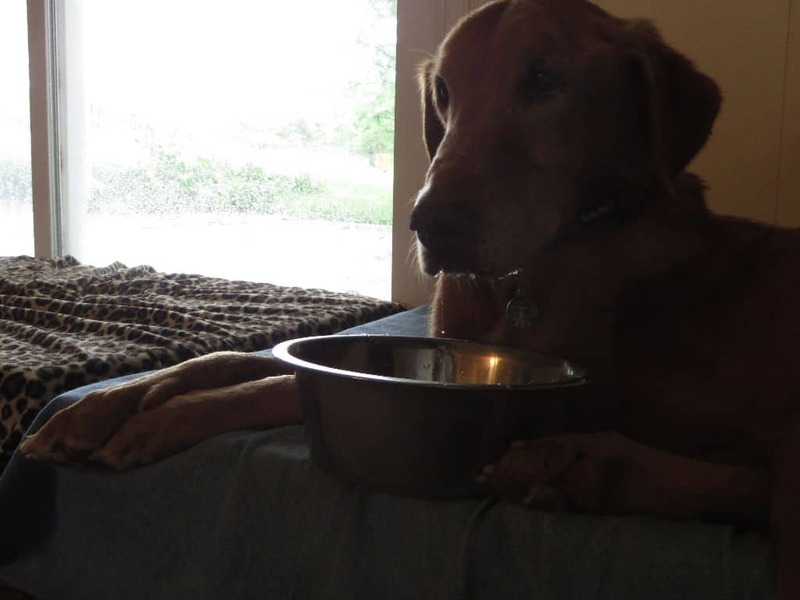 REMINDER – it is a long walk to the water bowl for a dog with arthritis or other mobility issue. When the dog is lying down, his trek begins with the process of standing up. Pain, discomfort or fatigue can sometimes cause the dog to forgo the trek. This can reduce his daily water intake. Not good. 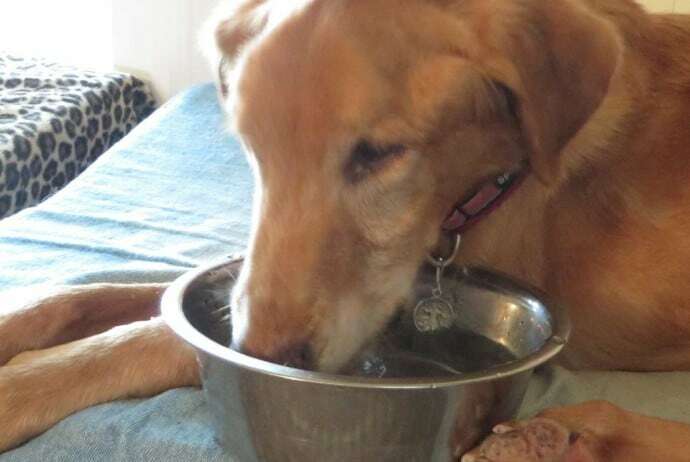 Help your mobility-impaired dog stay hydrated. Take water to his resting area, offer him a drink. Position the bowl so he doesn’t have to strain to reach it. Comfort is key. Water is offered to GingerPeach and Rocky several times a day. Though they don’t always drink when water is offered – they still walk and roll daily to the water bowl in the kitchen – there are plenty of times they do enjoy a long drink of water in bed. Sharing this simple reminder because simple things are often overlooked. Rocky with wet chin after a nice, long drink.